New paper out with Tobias Sommer and colleagues at the University Medical Center Hamburg-Eppendorf. Funding recieved for a project in collaboration with Daniela Palombo (University of British Columbia) and Rosanna Olsen (University of Toronto). New brain morphology work, further examining the utility of fractal dimensionality in underanding aging. Now published in Aging & Mental Health. 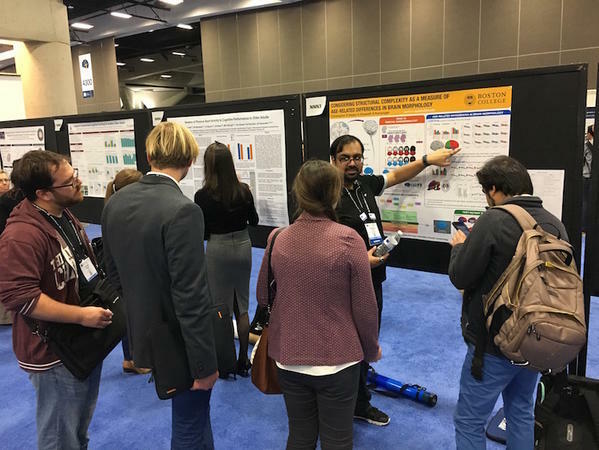 Interview with Dr. Madan on using open data in brain morphology research. Interested in studying human memory? 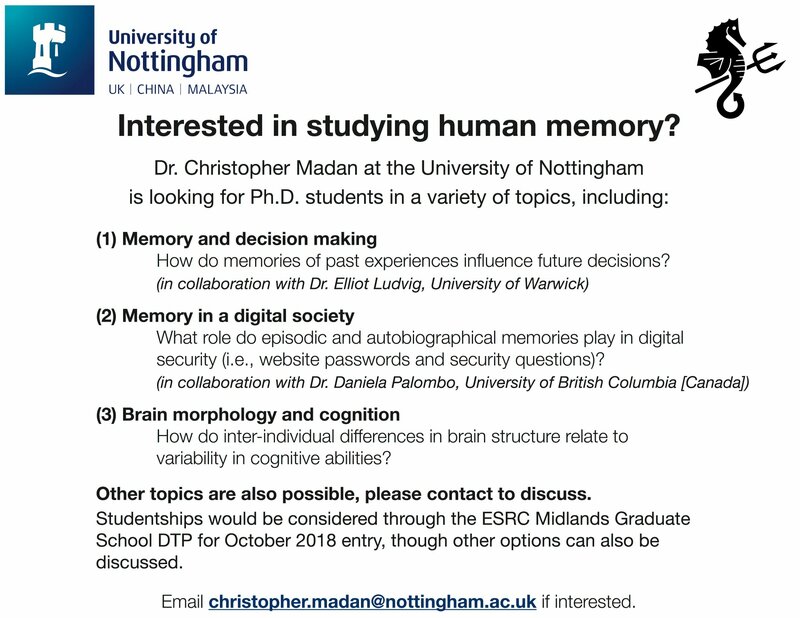 Interested in studying memory, or otherwise working with me? (Or know someone else who might be…) Let me know! Dr. Madan is now part of the Diversity, Outreach and Training Committee for Cognitive Neuroscience Society. Thank you for voting! Grant received from the Brain Foundation (Australia) in collaboration with Muireann Irish at the University of Sydney. Work will investigate brain morphology in frontotemporal dementia. New paper online! Collaboration with Kyle Mathewson at the University of Alberta, accepted for publication in Psychophysiology. Today is day 1 as an assistant professor!! If you weren’t at my APS 2017 talk, or even if you were, take a look at slides on benefits of Twitter and science communication. 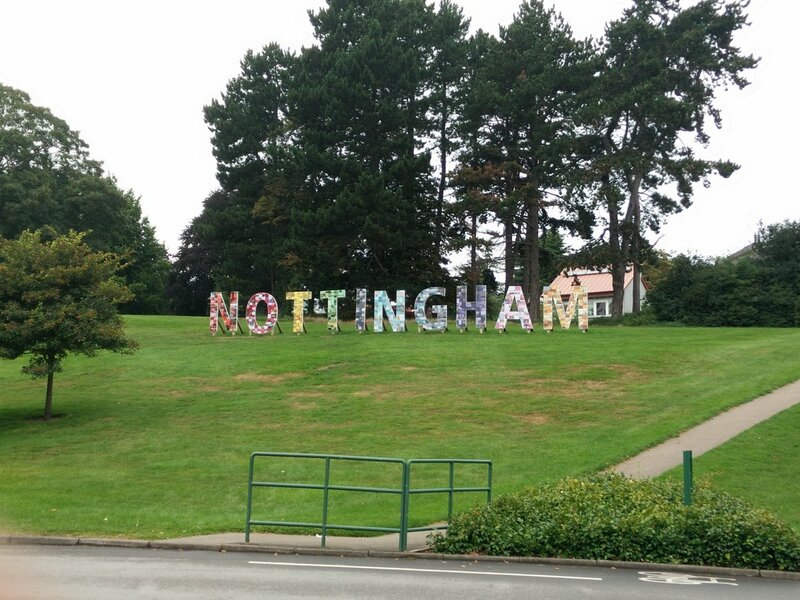 Excited to be starting as an Assistant Professor at the University of Nottingham in the School of Psychology later this year!